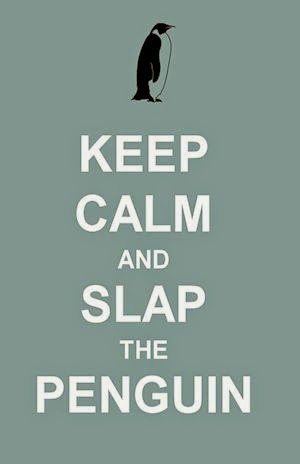 Slap The Penguin: Lindsay Lohan - What Now? Recently, LiLo has been missing from the pages of STP because there are only so many jokes you can make about someone who gets drunk, breaks parole, crashes a car, gets arrested, goes to jail for 15 minutes, goes to bed and then wakes up the next day and starts all over again. This little interlude put LiLo back in my mind, and then I read that last Thursday she had been arrested for a drunken assault in a night club, I just couldn't hold back anymore. What on earth will Lindsay the train-wreck come up with next? 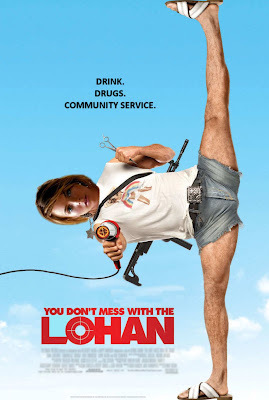 We did come up with one movie suggestion for LiLo and her lackluster acting career. I knew I published this post a day early. Now it seems that the IRS have stepped in and siezed LiLo's assets due to her owing around a quarter of a million dollars in taxes and other debts. Lohan is due to appear in court on 12/12/12 to face charges for the June car crash in which her Porsche ploughed into an 18-wheeler. LiLo may or may not have been behind the wheel, but either way it was another parole violation. If you could give Lindsay Lohan one piece of advice, what would it be?